What Static Code Analysis solution do you use? ReSharper is a productivity tool for visual studio that provides tools and features to help you manage your code. Pylint is a tool that checks for errors in Python code, tries to enforce a coding standard and looks for bad code smells. SonarSource products have innovative features to maximize quality and manage risk for both small and large software portfolios. ReSharper C++ is designed to make Visual Studio a better IDE for C++ developers, providing code analysis, quick-fixes, search and navigation, smart code completion, refactorings, and others. Black Duck by Synopsys provides a comprehensive software composition analysis (SCA) solution for managing security, quality, and license compliance risk that comes from the use of open source and third-party code in applications and containers. Black Duck gives you unmatched visibility into third-party code, enabling you to control it across your software supply chain and throughout the application life cycle. StyleCop analyzes C# source code to enforce a set of style and consistency rules. DashO is a Java and Android Obfuscator plus much more. It provides enterprise-grade app hardening and shielding, greatly reducing the risk of intellectual property theft, data theft, piracy, and tampering. Our layered obfuscation, encryption, watermarking, auto-expiry, anti-debug, anti-tampering, anti-rooted device solution provides protection for applications all around the world. * We monitor all LDRA TestBed reviews to prevent fraudulent reviews and keep review quality high. We do not post reviews by company employees or direct competitors. Validated reviews require the user to submit a screenshot of the product containing their user ID, in order to verify a user is an actual user of the product. Hi there! 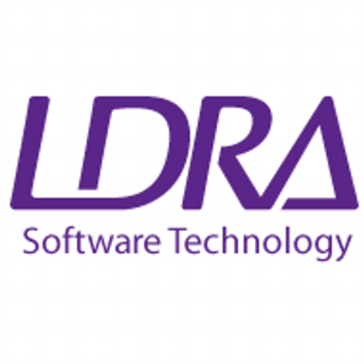 Are you looking to implement a solution like LDRA TestBed?